I met up with my school friends on the weekend after Christmas and thought it would be a good excuse to bake something to take with me. One of my friends is vegan so I wanted to make sure I made something she could eat, and I found this recipe for a vegan apple cake online - it used up some ingredients I already had in the house, which was good. I decided to use my silicon bundt tin; here it is going in the oven. Sprinkle some brown sugar over the top and you're done. I'd like to think this is a relatively healthy recipe as far as cakes go, but it probably isn't! However if you have decided to become vegan for a new year's resolution or for a January health kick (or just a change) then this cake would be the perfect treat! 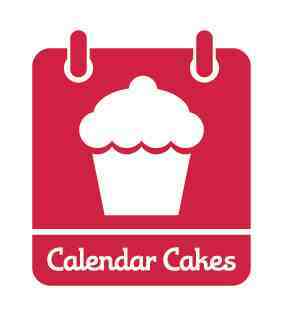 So I'm sending this to Calendar Cakes, hosted by Laura of Laura Loves Cakes and Rachel of Dolly Bakes, as their theme this month is "new year, new you." 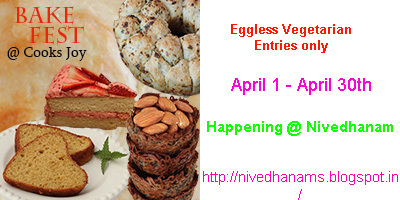 I am also sending this to Bake Fest, hosted by Nivedhanam and Vardhini of Cook's Joy as their theme this month is eggless vegetarian bakes. mmm, apple and cinnamon what a classic combo... I love the veganess of this cake too, very nice looking cake! That looks delicious, I love apple and cinnamon together and it's a good recipe to have up your sleeve if you want cake and have run out of eggs.